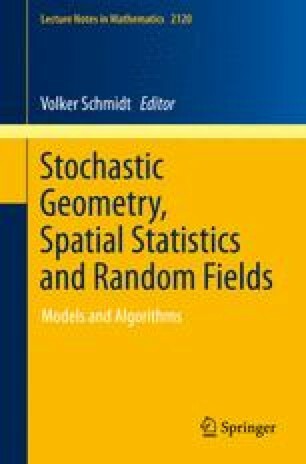 Space-time models in stochastic geometry are used in many applications. Mostly these are models of space-time point processes. A second frequent situation are growth models of random sets. The present chapter aims to present more general models. It has two parts according to whether the time is considered to be discrete or continuous. In the discrete-time case we focus on state-space models and the use of Monte Carlo methods for the inference of model parameters. Two applications to real situations are presented: a) evaluation of a neurophysiological experiment, b) models of interacting discs. In the continuous-time case we discuss space-time Lévy-driven Cox processes with different second-order structures. Besides the wellknown separable models, models with separable kernels are considered. Moreover fully nonseparable models based on ambit processes are introduced. Inference for the models based on second-order statistics is developed.